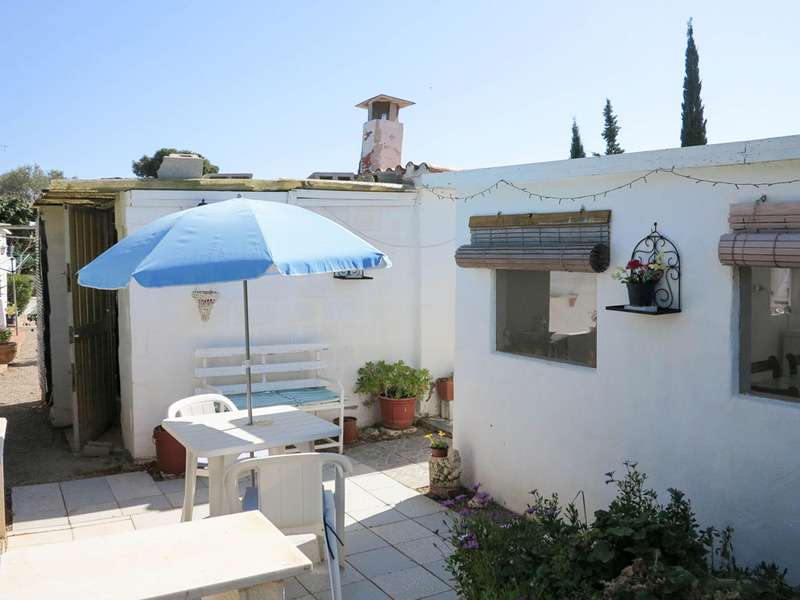 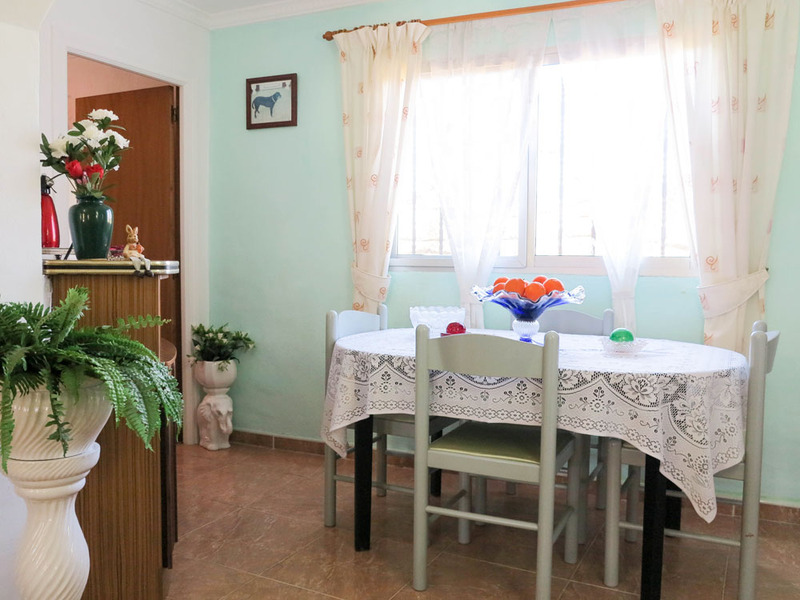 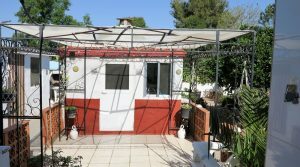 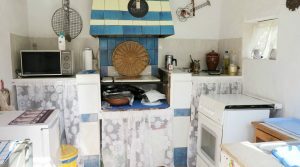 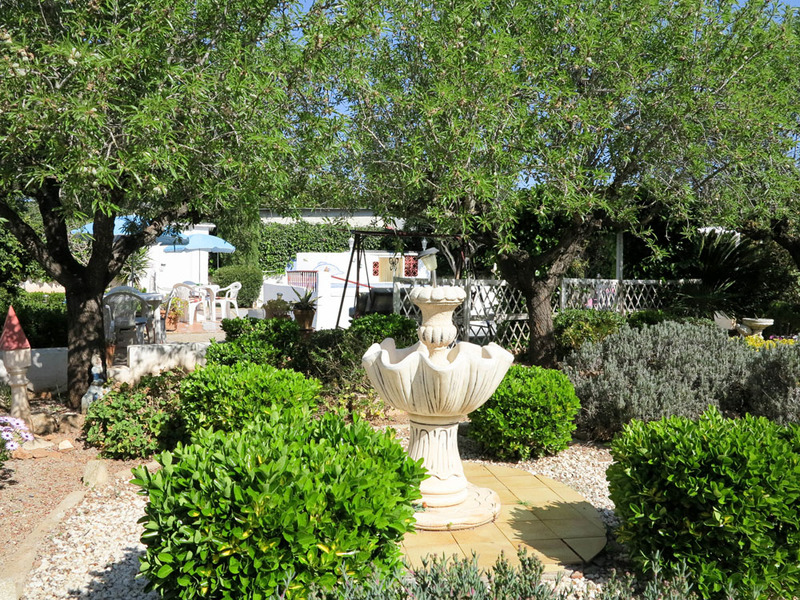 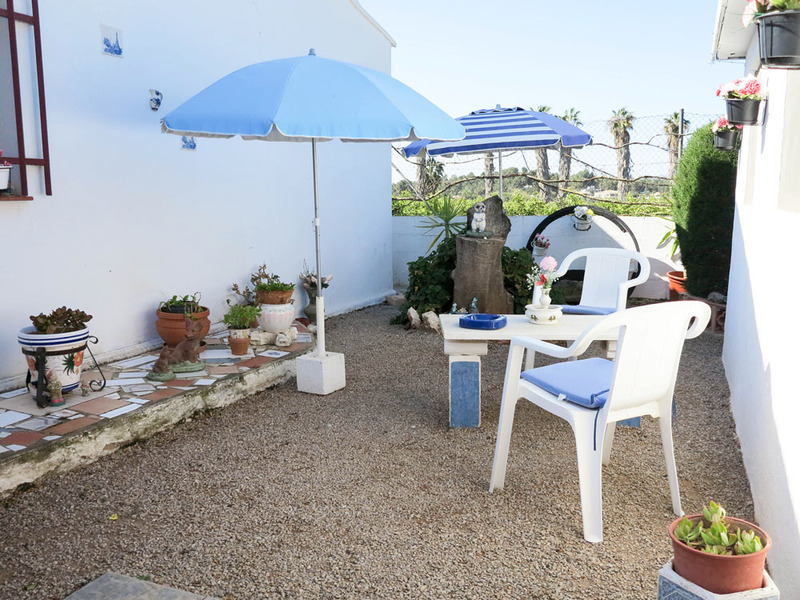 One of our charming properties for sale Valencia, located in the pretty town of Vilamarxant (Vilamarchante). 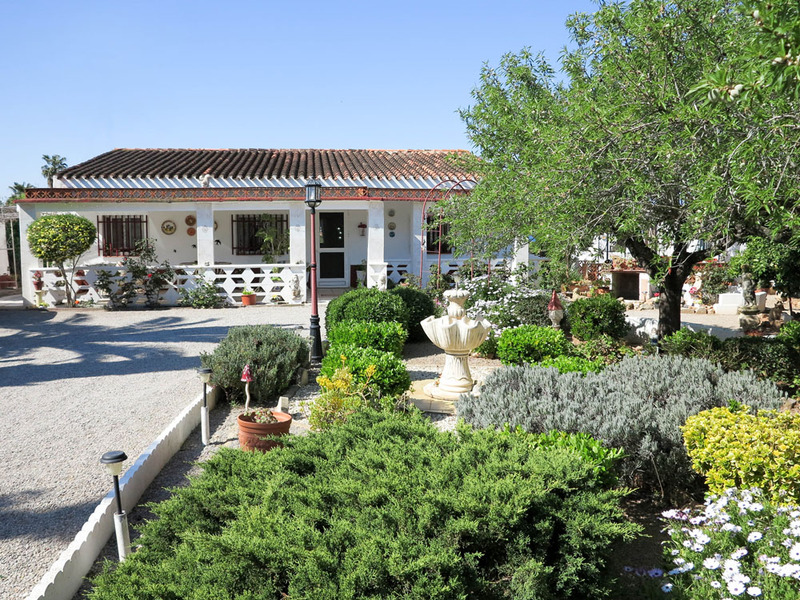 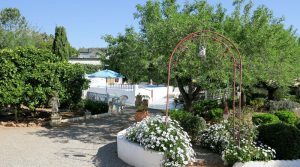 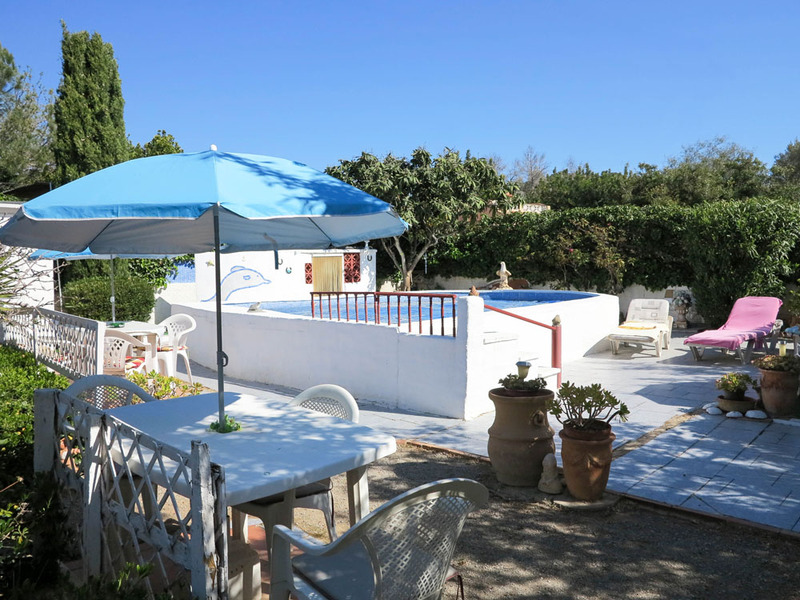 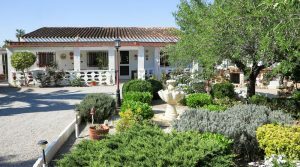 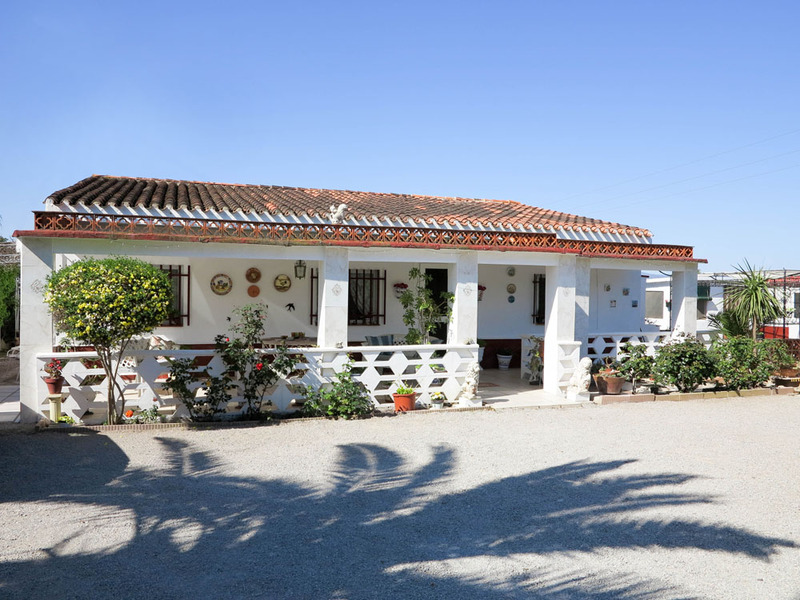 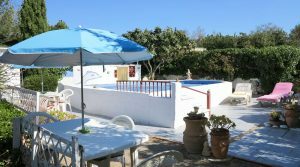 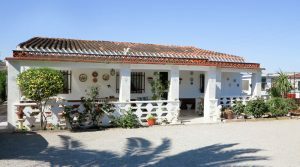 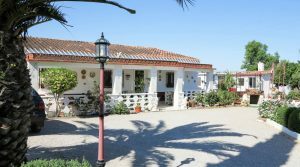 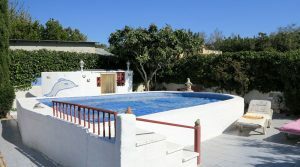 The villa is situated approximately 4 km outside the town centre of Vilamarxant in the residential area of Horquera. 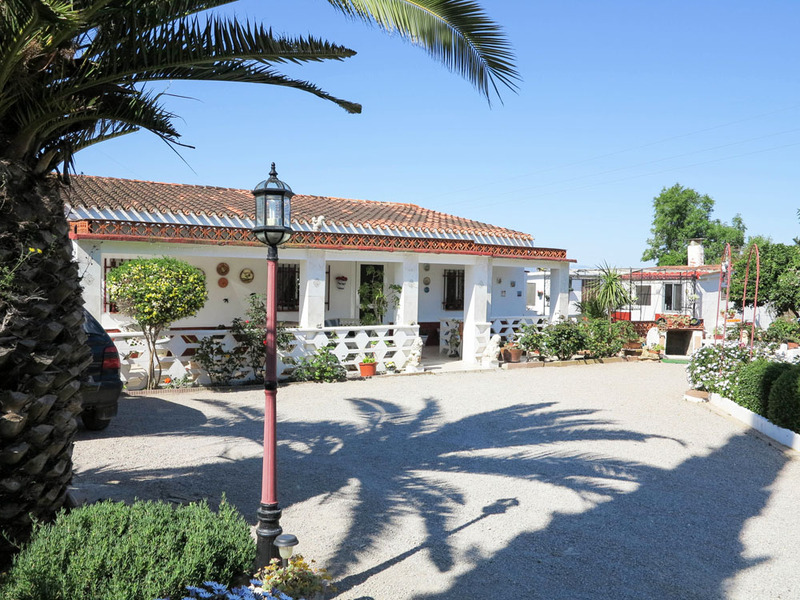 This is a very nice place with good views and many palm trees. 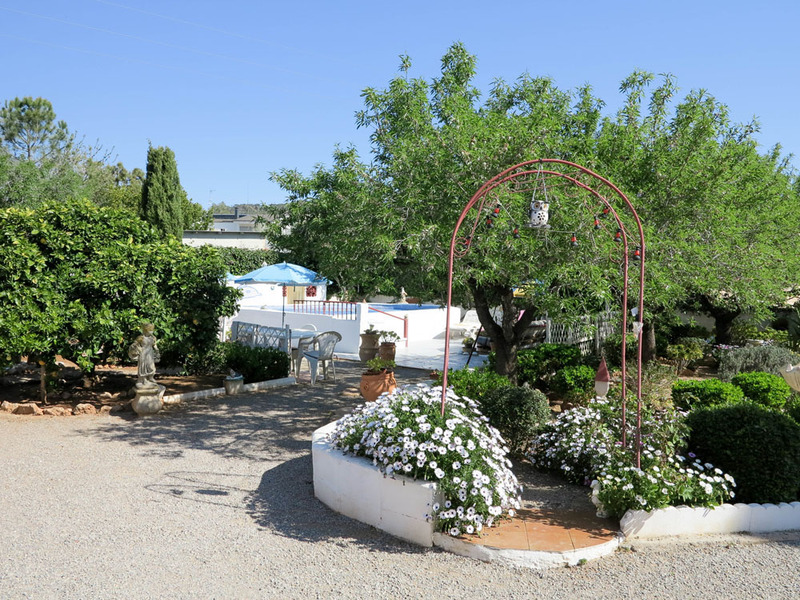 The double gates open onto a stone driveway, with plenty of space to park your cars. 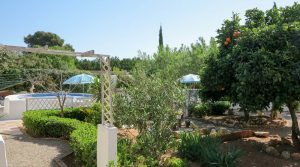 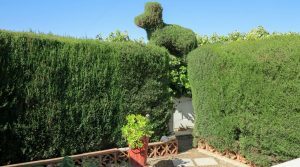 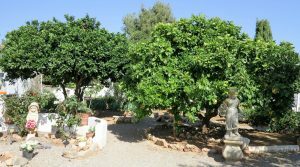 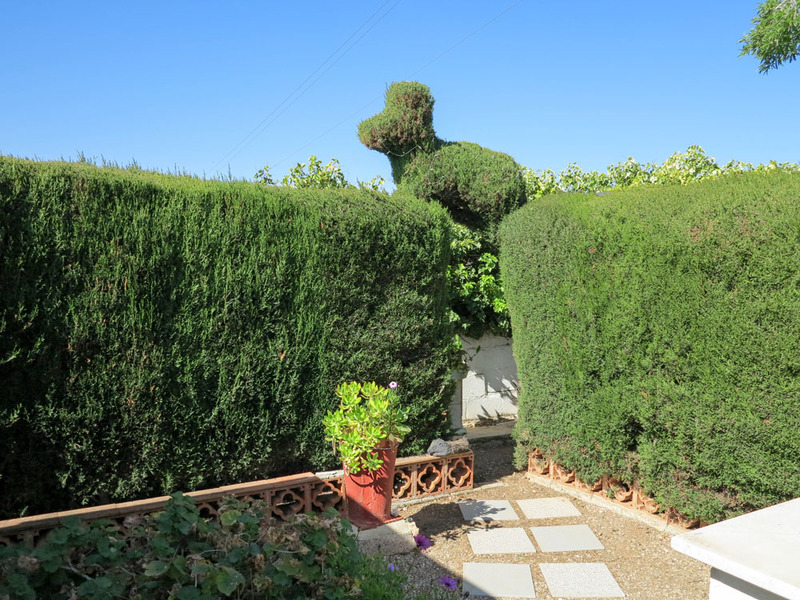 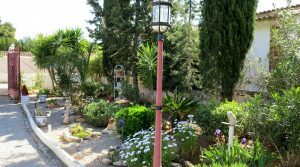 All of the gardens have been beautifully landscaped with planted areas and trees complimenting each other and creating good navigation through the gardens, bringing you to lovely terraced areas. 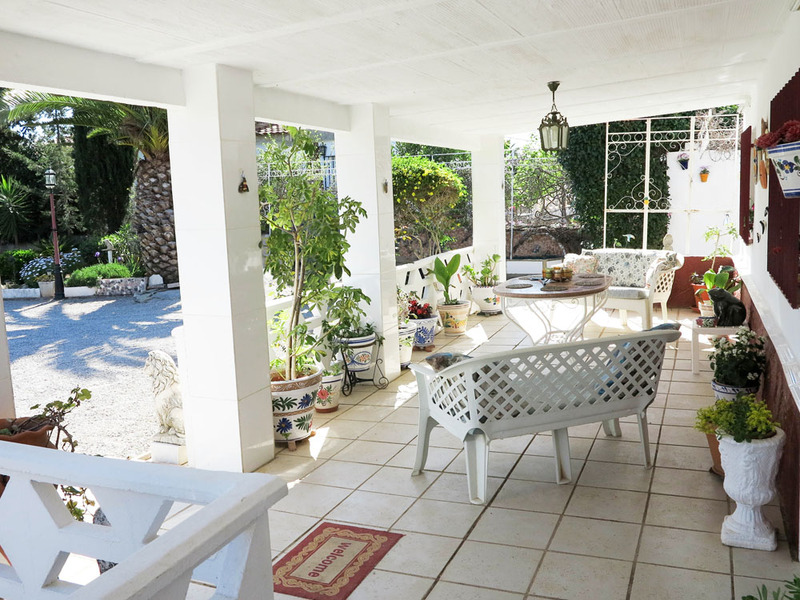 At the front of the main villa, you have a covered terrace before entering into the lounge/dining room. 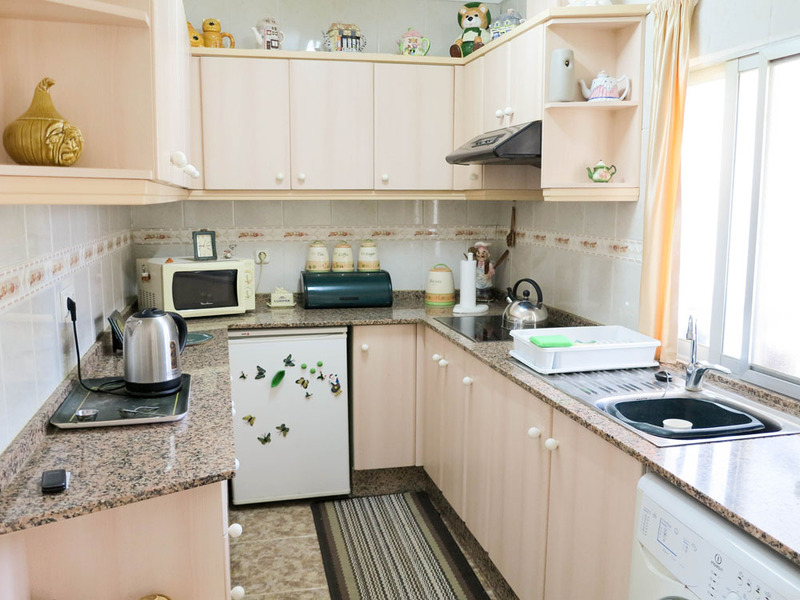 The kitchen is open plan to the lounge and located in its own area on the right-hand side. 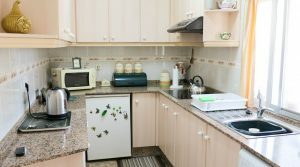 Here, you have a modern kitchen with granite work surfaces. 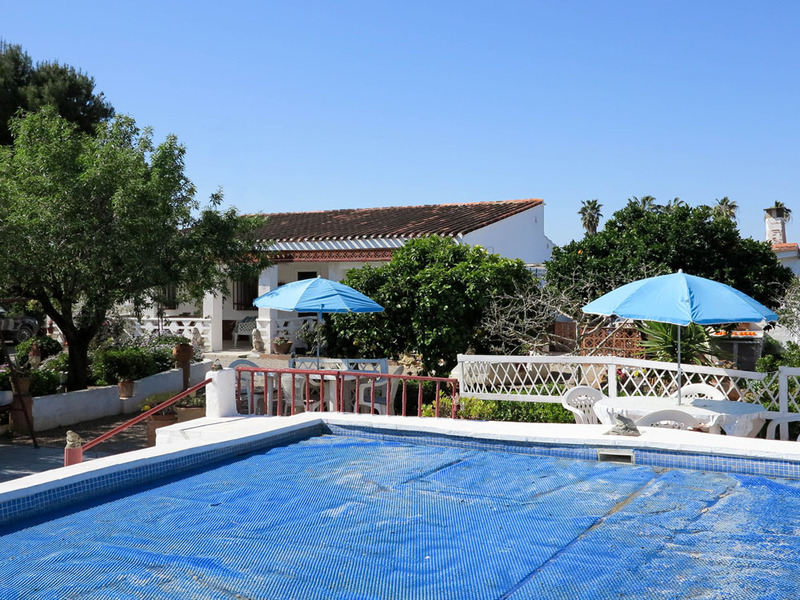 This is a four bedroom villa, three are double bedrooms and one is a single. 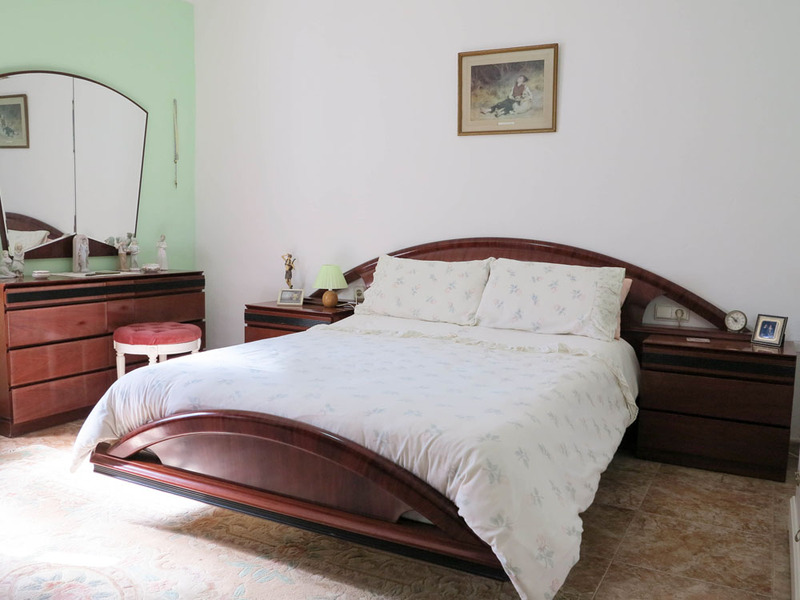 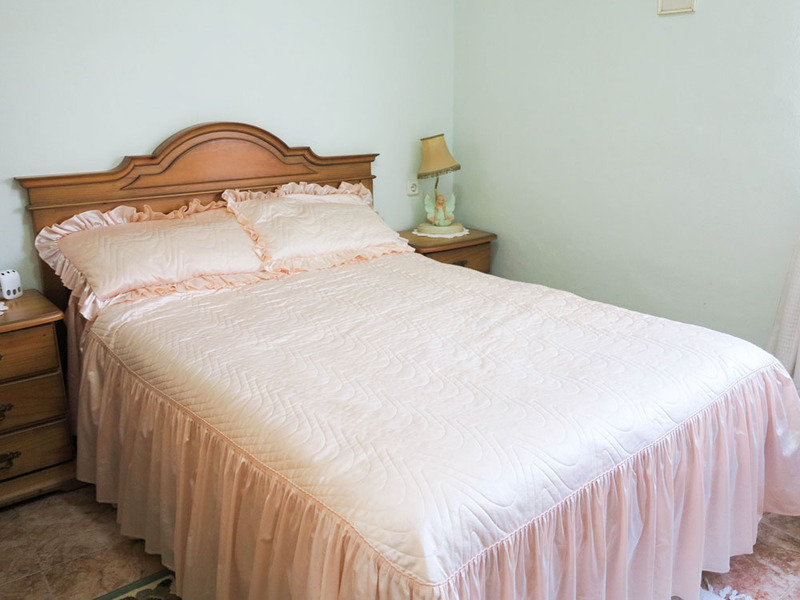 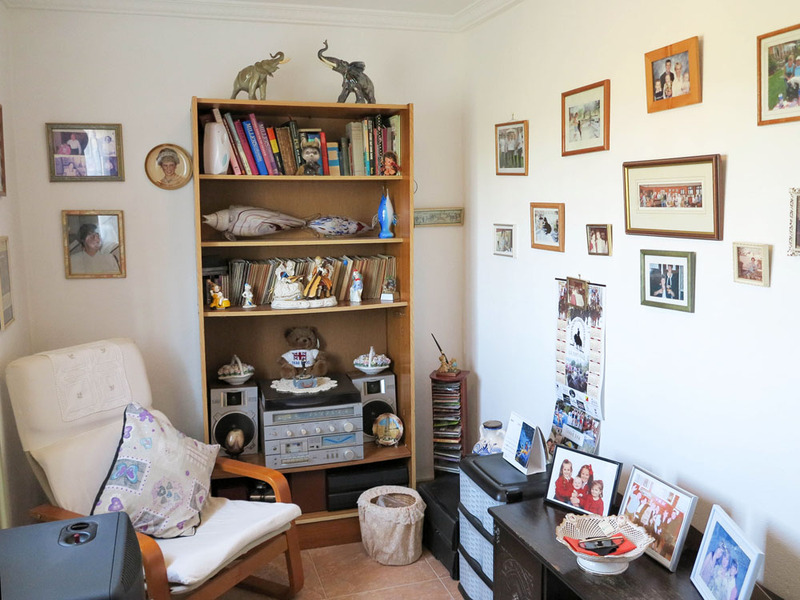 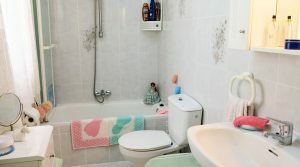 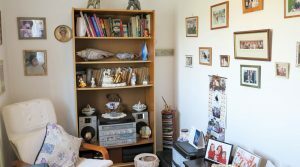 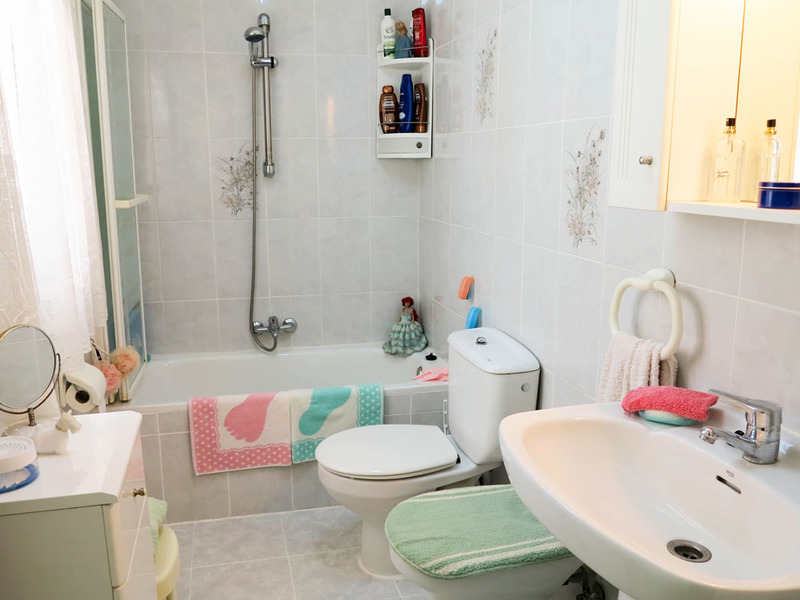 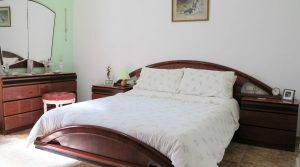 This single bedroom is currently used as a study/reading room but certainly large enough for a single bedroom, then you have a good sized family bathroom. 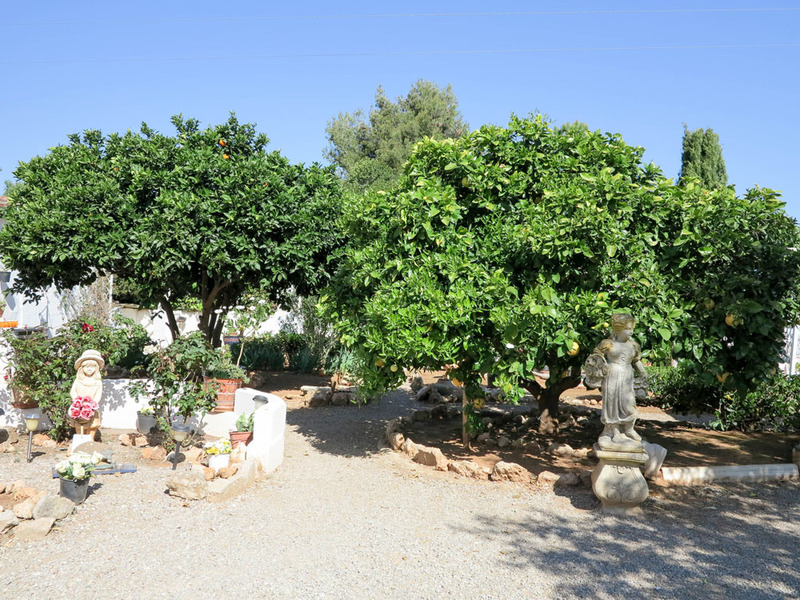 Across from the covered terrace at the front of the villa to the right-hand side, it flows through to the outside kitchen. 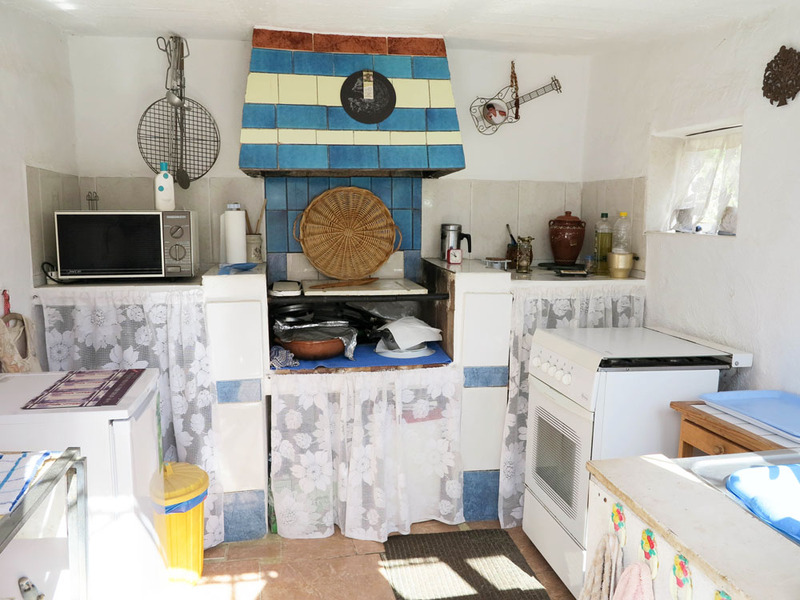 This complete outside kitchen has a well built indoor barbecue. 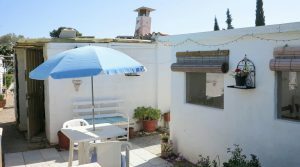 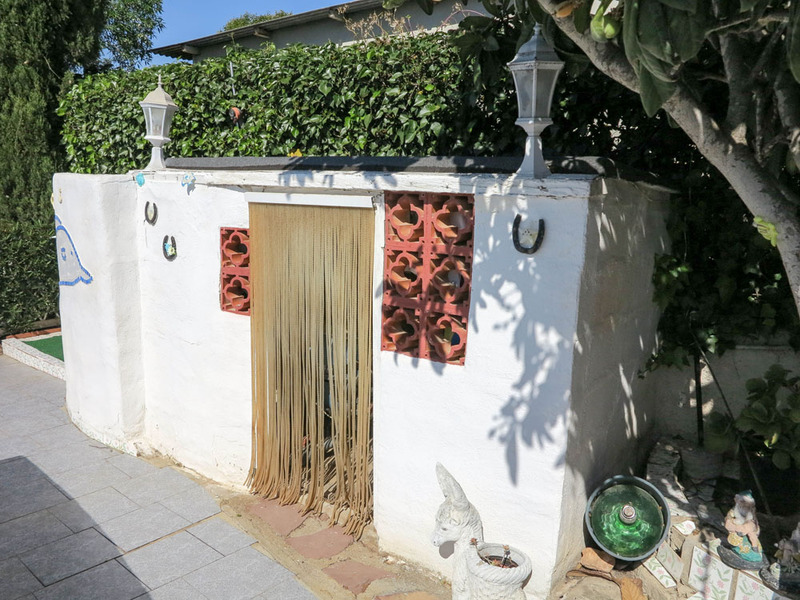 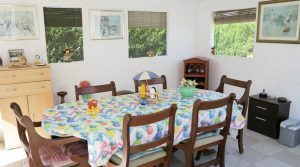 Then to the side of the outside kitchen across a small terrace, you have a separate building that is used as the outside dining room, with fly nets on the windows and door entry, the perfect place to enjoy a meal or party with friends, separate to the main villa. 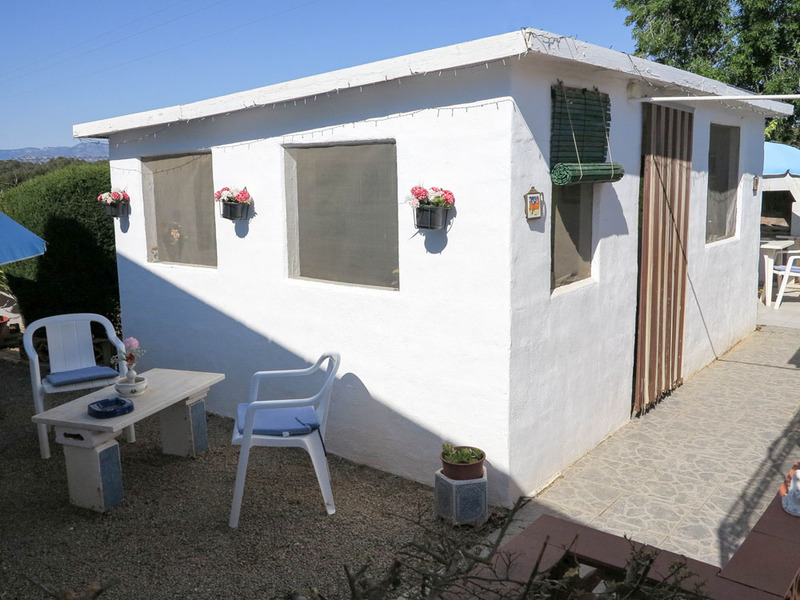 This 15m² separate building could easily be converted to make a separate apartment also if desired, offering further opportunity. 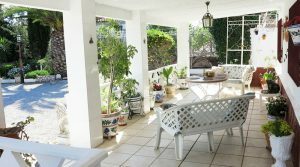 To the side of this outdoor dining room, you have a barbecue terrace and seating area surrounded by an ornate hedge, making it a special private area within gardens. 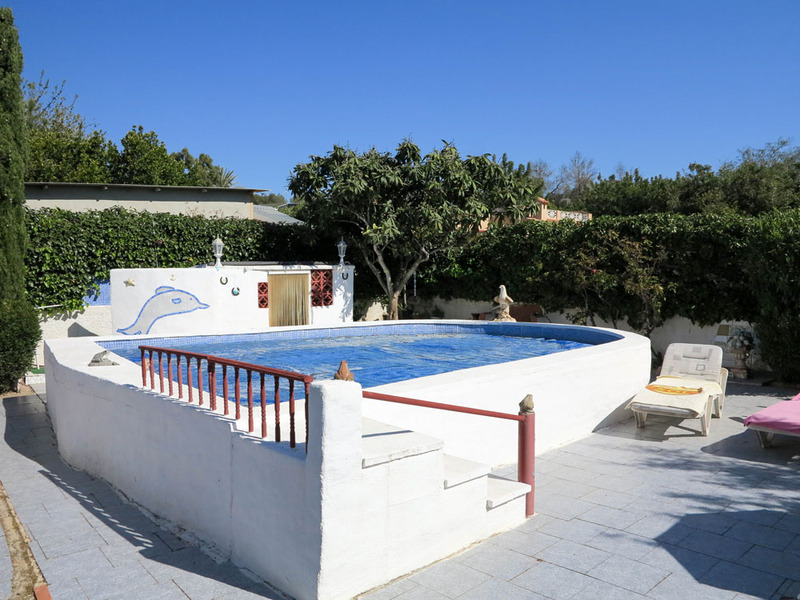 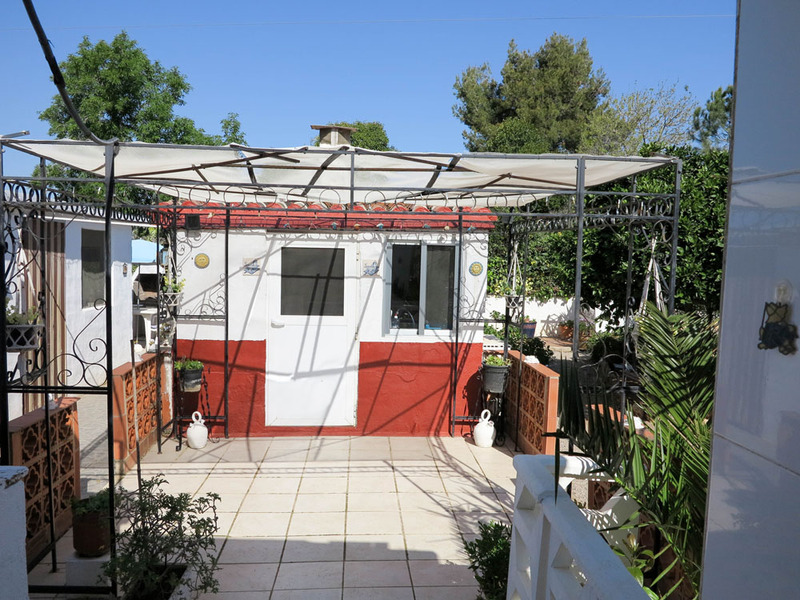 There is a 5m x 5m swimming pool complete with filer and pump system and with a good size terrace surrounding it with plenty of space for a sunbed and with a poolside shower. 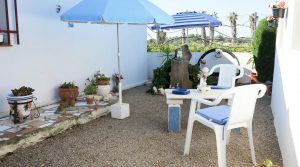 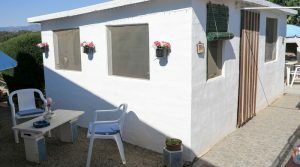 Next to the swimming pool, you have a small building where you have an outside W.C. which is presented very well and all tiled nicely. 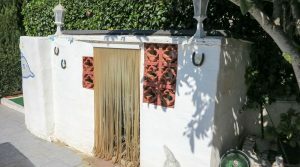 Also within the gardens, you have a small storeroom. 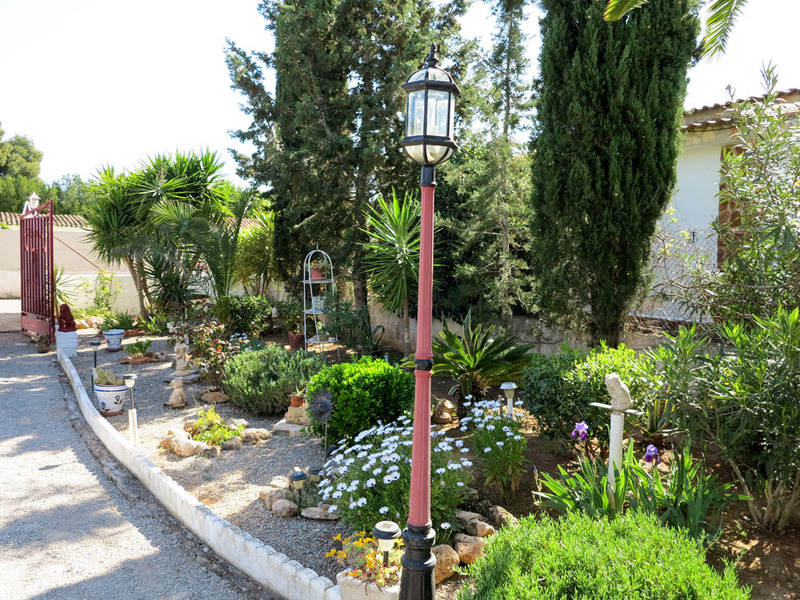 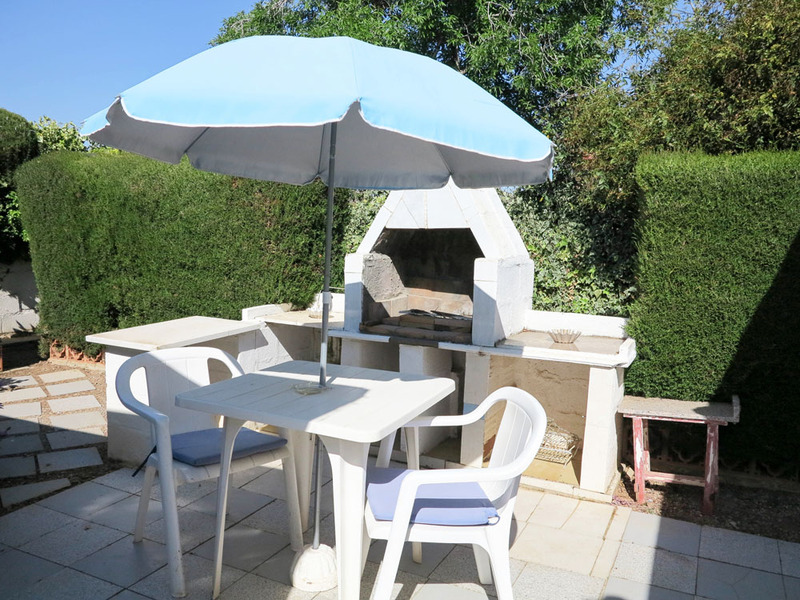 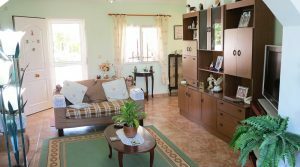 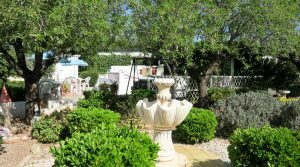 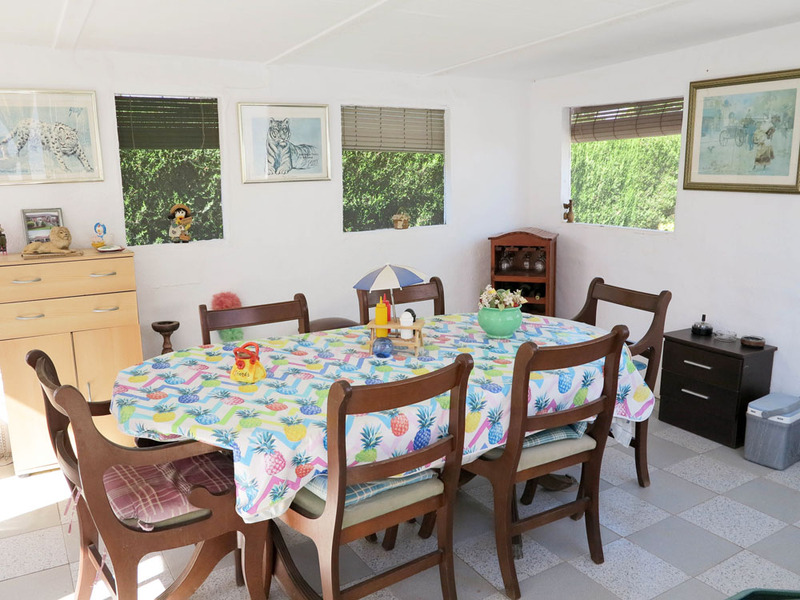 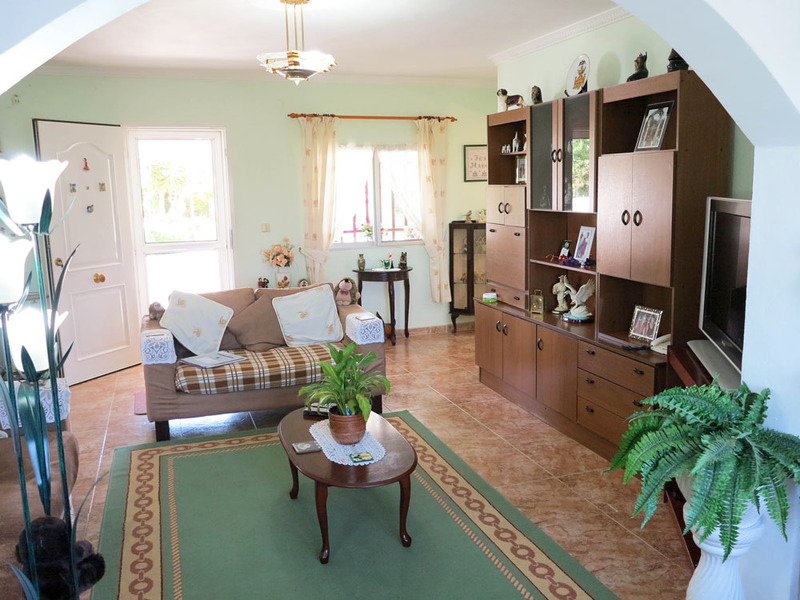 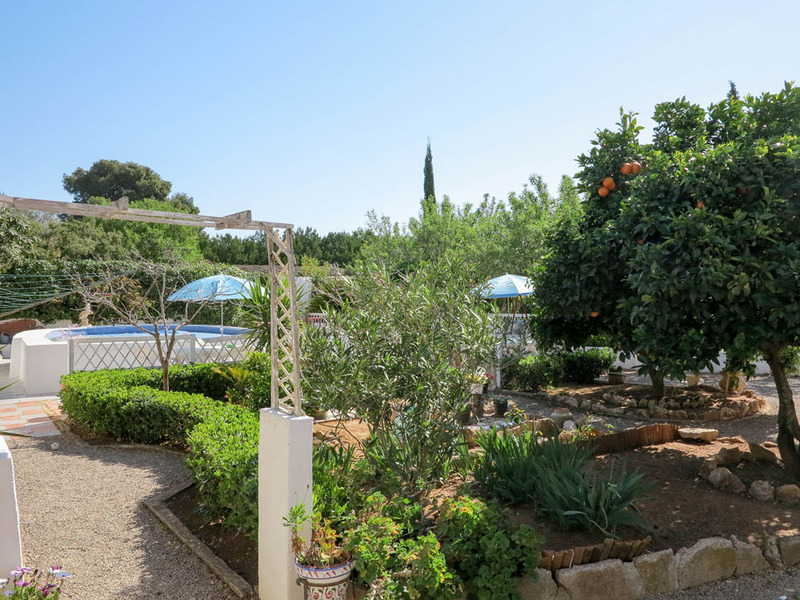 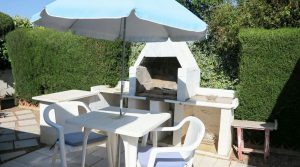 This well-presented property in Vilamarxant is being sold partly furnished and if you are looking for a charming well-maintained villa set within landscaped gardens, this could be the ideal property for you.